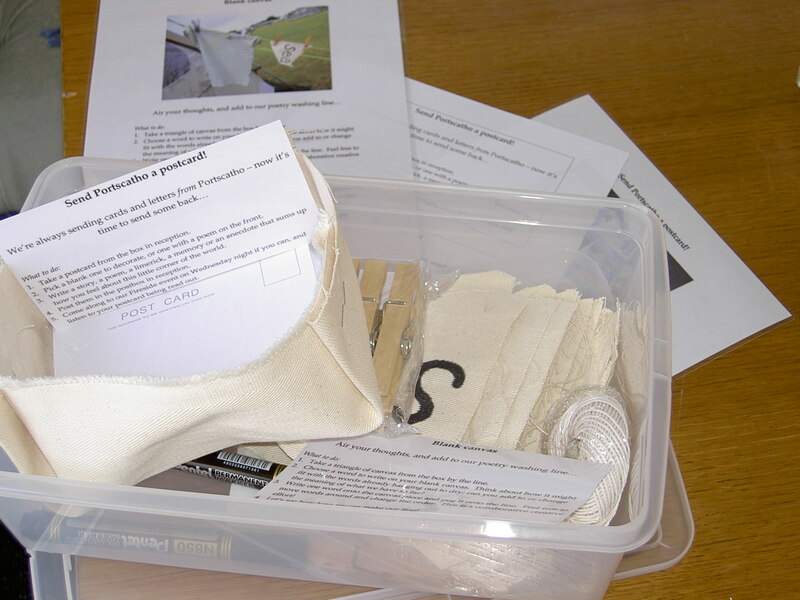 You are currently browsing the category archive for the ‘July 2009’ category. 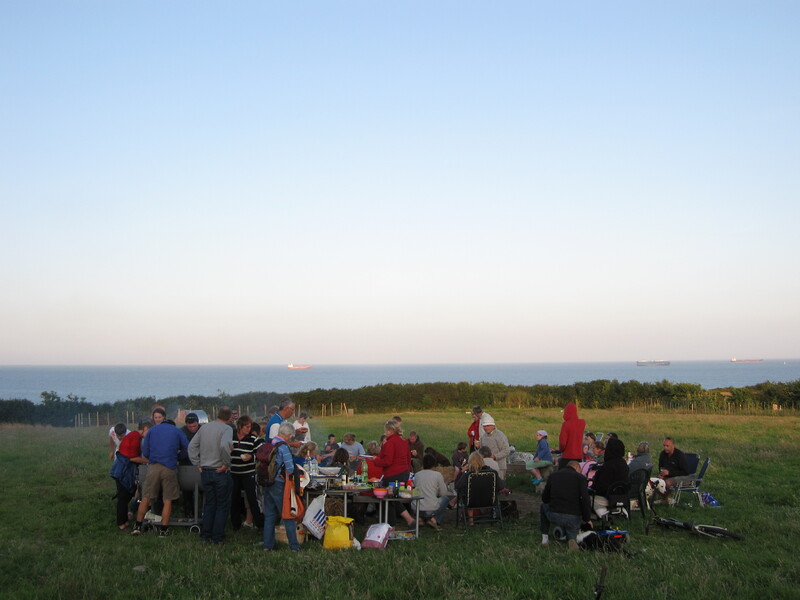 Mac opened the evening after dinner with an introduction to the Caravanserai project and the activities going on around the campsite and a fantastic recital of one of his own poems, before introducing me to talk about my residency. 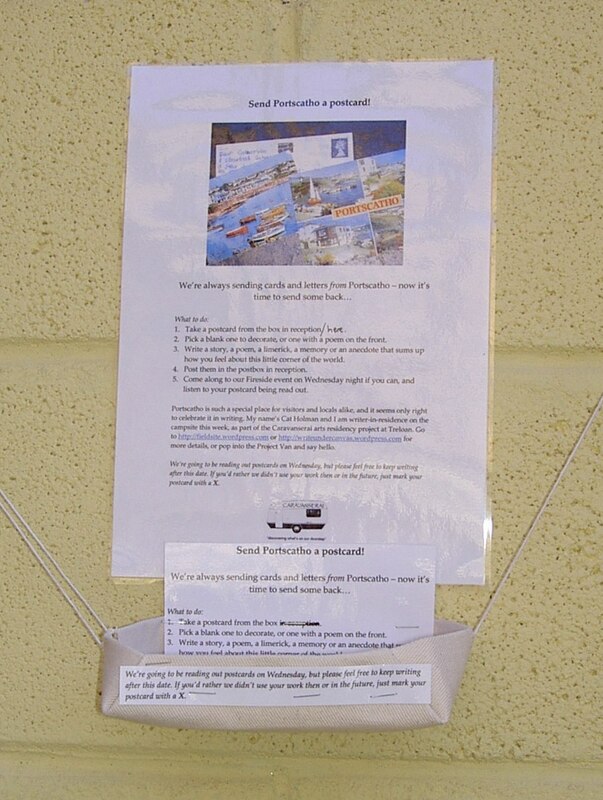 I had collected all the postcards ‘posted’ back to reception, with people thoughts and words about Portscatho. There was a real mixture of poetry, memories, pictures and anecdotes. 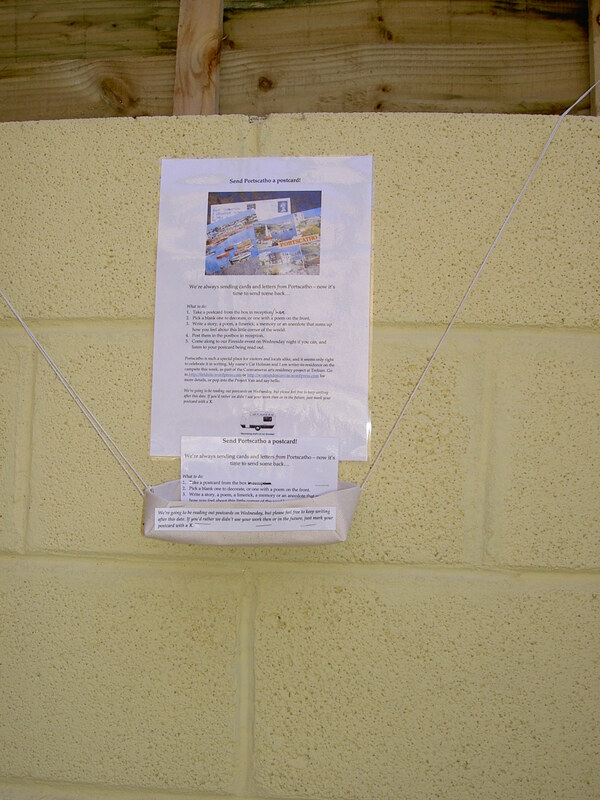 I was so pleased that people had taken the time and felt free to put these down on paper. Some of these I read out by the fire; others were passed around, and one postcard was read out by its author, a young Dutch girl who was on holiday at Treloan. I was so impressed and touched that somebody of that age had made such an effort to not only write down, but also read aloud something that wasn’t even written in her first language. 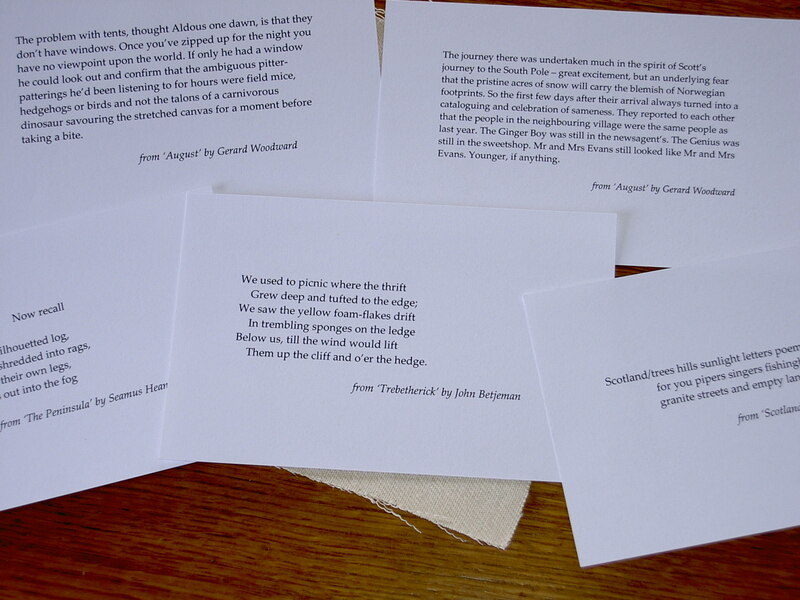 I also read out a couple of the extracts and poems I’d chosen to print on one side of some of the postcards. I’ll talk a little more about the postcards in another post. 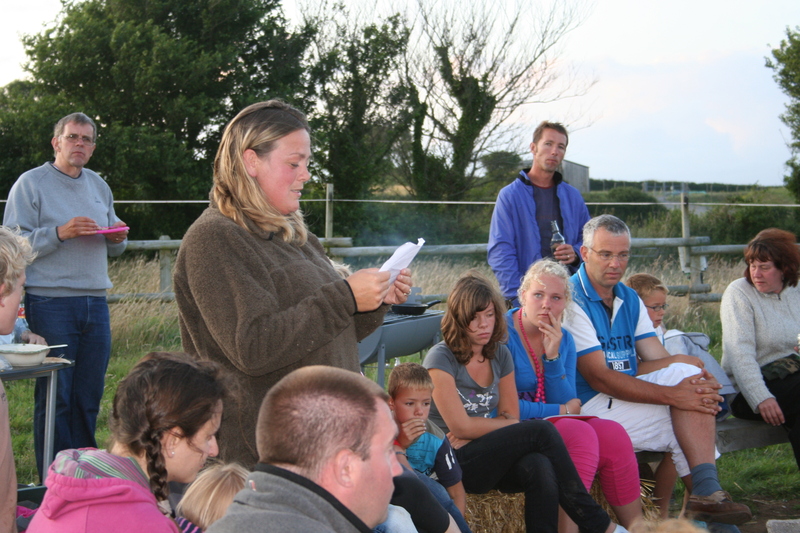 Next came the results of the writing workshop, and time for Debs to read out her poem ‘Words’, written during our workshop the previous day, as she’d promised two young campers she would on the condition that they wrote a poem of their own. My aim of the workshop had been to encourage people to write, so I was delighted that it had led to not just one piece of writing this evening, but two! 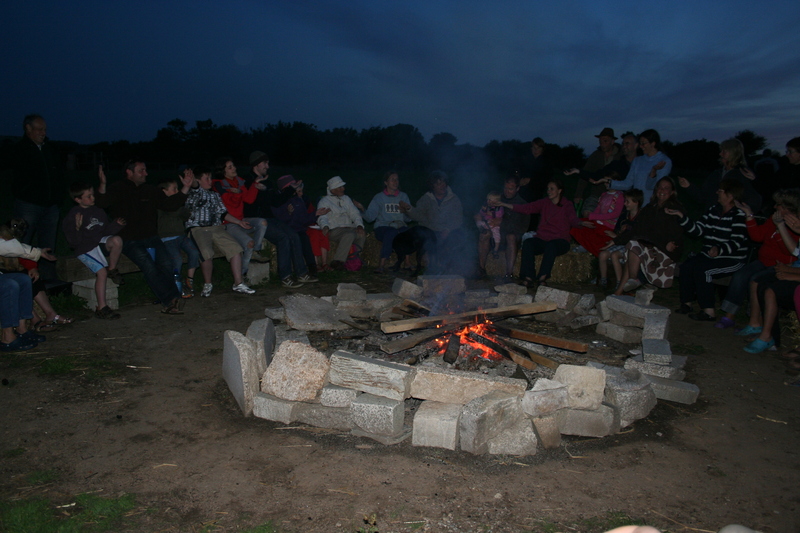 As the evening continued, more and more poems, stories and songs began to emerge from the people gathered around the fire. 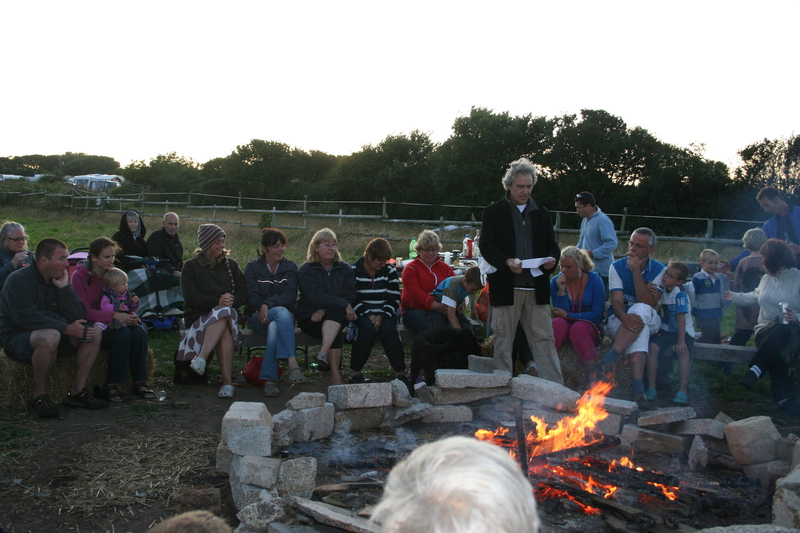 I read a short poem that I had written in Spanish over the last couple of days called ‘Caravanserai’; Mac shared a couple more of his poems; my husband had brought an old favourite of his to read, and the two campers who’d promised they’d write something to Debs read their poem about Love and Joy, the campsite pigs. A talented guitarist, who happened to be staying at Arthur’s Field with his family, emerged and played for us, then a Brown Owl took us in hand and got us all singing, and we ended the evening trying to help each other remember the words… Thank you so much to everyone who came; I was so happy to see so many people, both residents and visitors, and to have the opportunity to get together for such a fantastic evening. 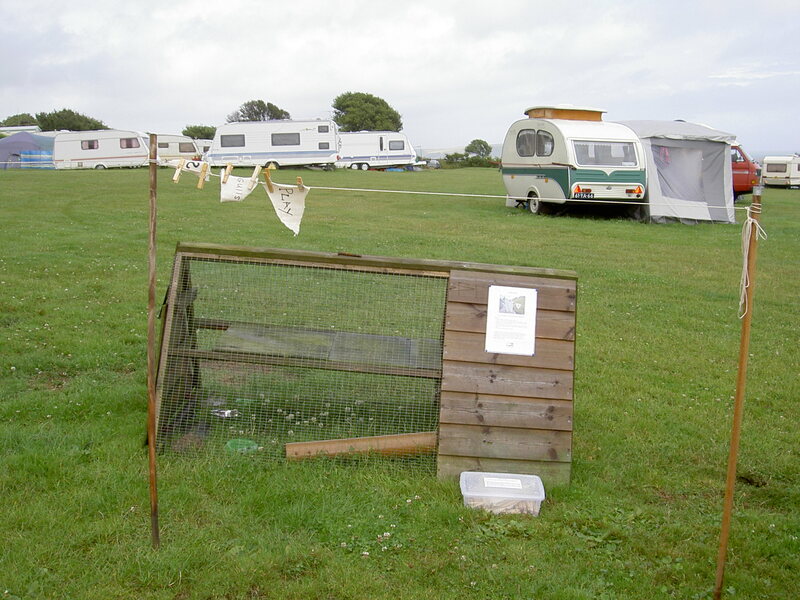 I felt quite sad waking up and knowing that this was my last day in residence at the campsite. I was just getting to know and recognise fellow campers and the postcards and poetry lines were making fantastic progress. In so many ways I wish I had been able to spend more time in residence, and I get the feeling that this may be a common theme amongst residencies. Unfortunately work meant that this was not a possibility, but four days is without question far better than none. I decided I would spend as much time as possible today writing, so I made the most of the sunshine and sat outside working on a poem about a palm reader which stemmed from a short story I was writing, and no doubt further spurred on by the Romany caravan I’ve been living in. There are some fascinating books in the project van, that I have spend the last few days perusing over breakfast, lunch and dinner. Some of the local history books have been particularly interesting, and looking at the photographs in Chris Pollard’s ‘Book of Gerrans and Portscatho’ made me realise how little the villages have changed over the years in some ways. I also loved ‘Beneath the Blue Sky’ by Dominic Reeve, an account of life on the road including a glossary of Romani words, which as a linguist I found completely irresistible. ‘Home Work’ , a book about handbuilt shelter by Lloyd Kahn is also really worth a look. Later on this afternoon I spent some time planning tonight’s Fireside Stories event with Mac. I’ll talk about the event in another post. 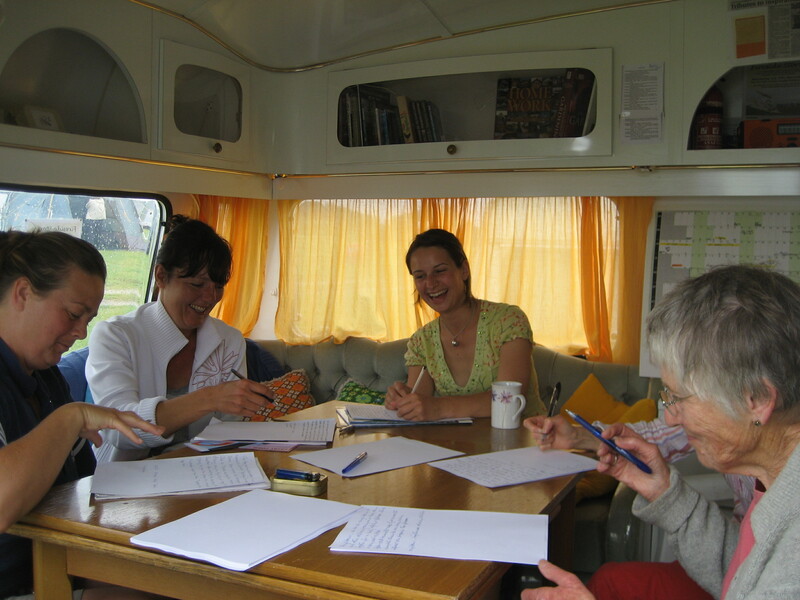 A total of five people attended the workshop; a great number for the project van, with enough space for everyone to sit and write in their own space, without having to brave tents in the rain! 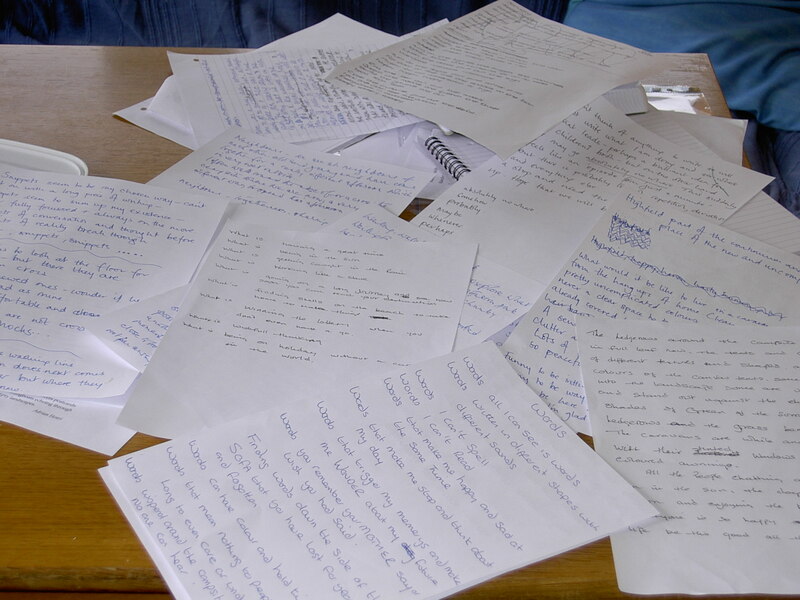 After explaining the aims of the workshop, and talking about people’s experience of writing, we started off with a short exercise to warm up our pens; just five minutes of writing whatever came into our heads, without lifting pens from paper, worrying about punctuation, spelling or sense. It seemed to get everyone into a good space for writing, and although I was keen to stress that nobody was under any pressure to read any of their work aloud at any point in the afternoon, a couple of people were happy to, and it was really interesting to see how everybody had approached the exercise. We started to pick words out from the extracts we’d written, and using the idea of the poetry line outside reception, I’d stringed up a couple more lines outside the project van so that we could add words to a new line, with the possibility of moving words around to form sentences or lines of poems. We made a couple, and it was really interesting to see how our interpretations of words differed, and how similar in theme or sound so many of the words we had picked out individually were. It was definitely a day for ws! 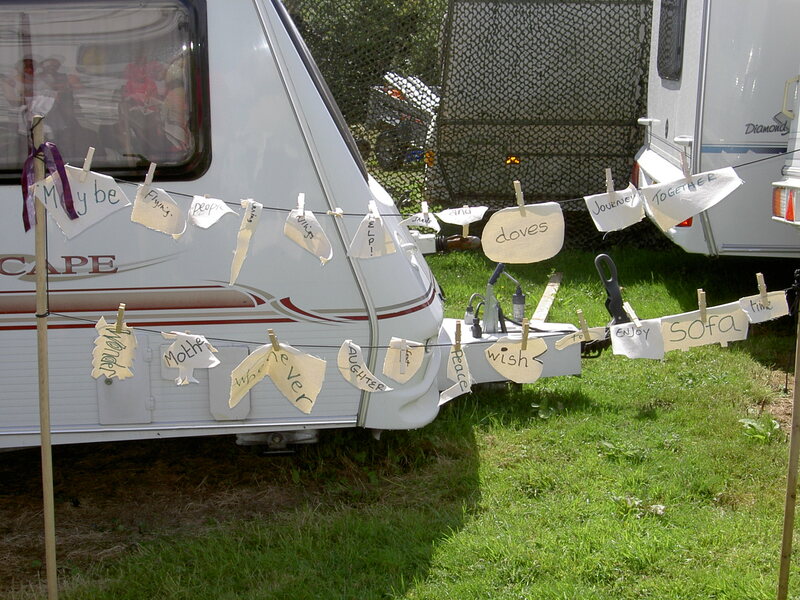 Having spent some time rearranging our washing words on the line, we returned to the van to do a longer piece of writing. I took Adrian Henri’s poem Scotland as a starting point, as I felt it was both accessible and appropriate to our situation and surroundings, and I read this to the group. We then spent some time writing; some people chose to follow the structure of Scotland, making a list poem of their own, and others found inspiration elsewhere. Once again, a few people read what they’d written. The two hours passed in a flash, but we finished with a cup of tea and a chat, and it was interesting to talk about writing and the benefit and often luxury of taking time out to stop and do something different and to have the chance to reflect. I found myself talking about how important I find it is to sit down and escape with a pen and paper; I realise however this is all too often advice I should be taking myself! It’s so easy to let writing time be encroached on by other urgent chores or errands or work, but this residency is definitely showing me the benefit and importance of making time for writing. I really enjoyed the workshop; it was great for me to spend time writing in such pleasant company. 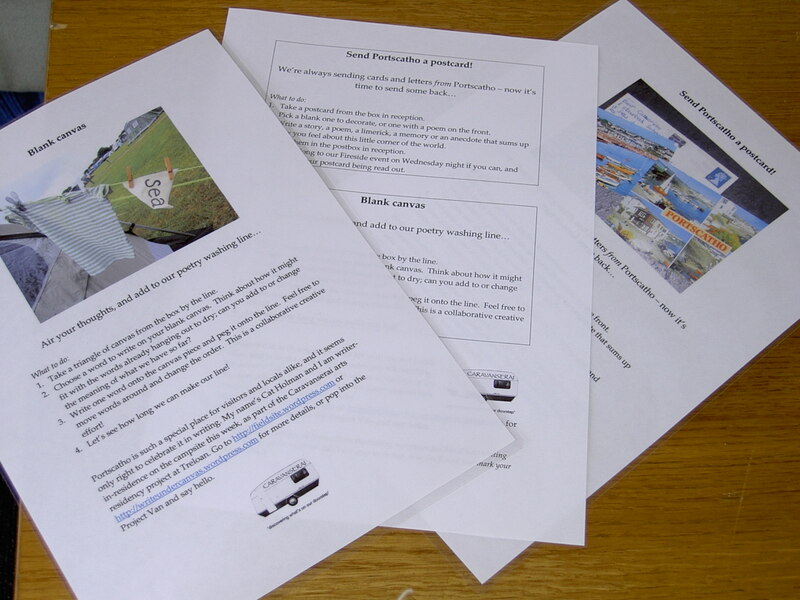 I loved hearing all your writing – please keep it up! I started my day with a walk to down to the project field, our location for Wednesday night’s Fireside event. Debs was down there already, feeding the chickens and the two Tamworth pigs with the help of some enthusiastic young campers; a daily event at the campsite. It made me remember our annual two week family holiday down here in August when I was little; I wonder how many of these children’s memories will be recorded on the postcards around the site. 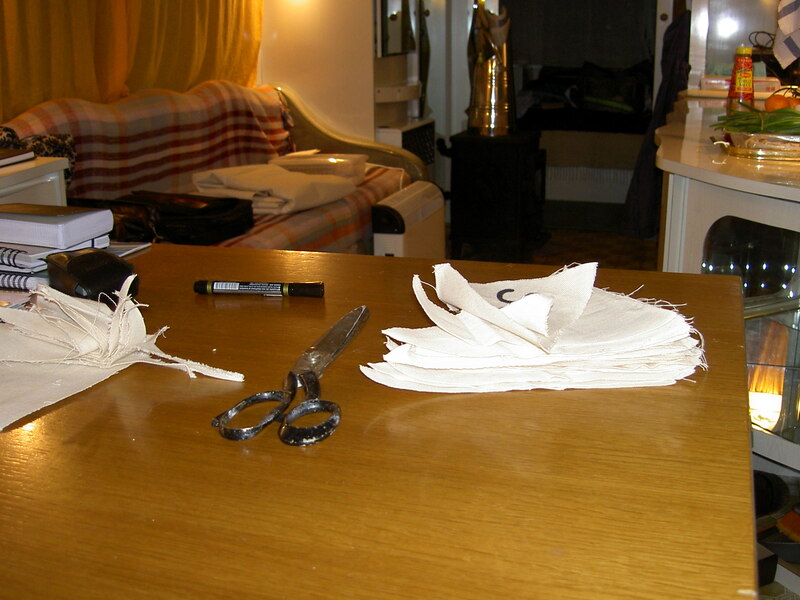 I spent the rest of the morning finishing my preparations for this afternoon’s writing workshop; cutting out squares of canvas for people to use, making copies of Adrian Henri’s poem ‘Scotland’, and walking down the coastpath to the village to buy milk and proper tea! The rain held out long enough for Debs to put a notice out about my writing workshop, and we even had a bit of sunshine over lunch. 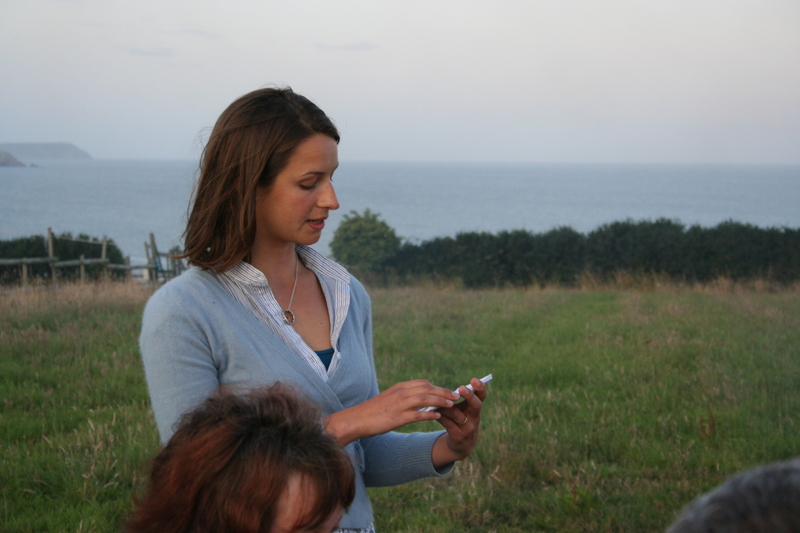 I spent some more time writing, until 2pm when I ventured out between showers to meet my writers for the workshop. More about this in another post. I enjoyed the workshop so much, and loved spending a couple of hours writing with such a great group of people. It inspired me to spend some more time with my own writing, so after a couple of hours reading and hiding from the weather (the storm is getting closer), I curled up with a pen and paper. Why can’t all afternoons be like this? It felt as though I was about a hundred miles from home when I woke up in the van this morning. 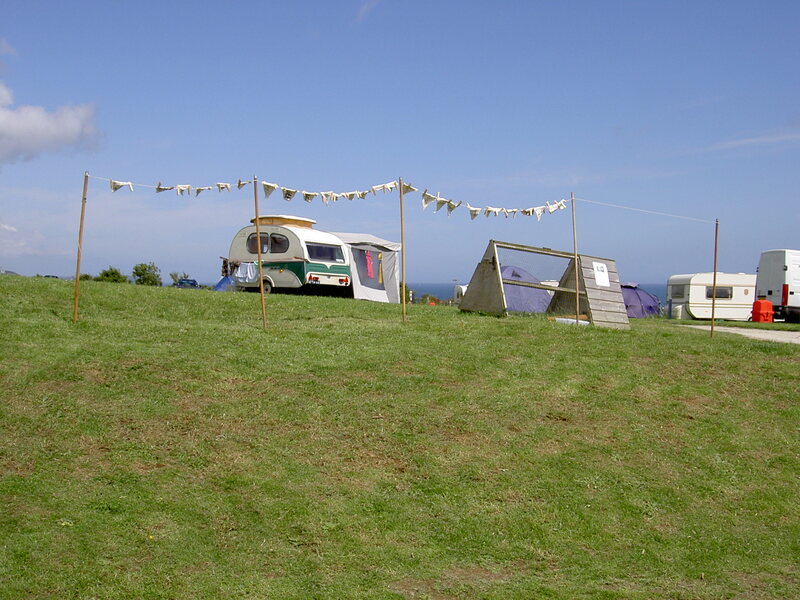 Despite sharing some of the same view of the sea, and a few familiar faces, the campsite feels very different from home. It’s amazing how a new location can change your perspective. 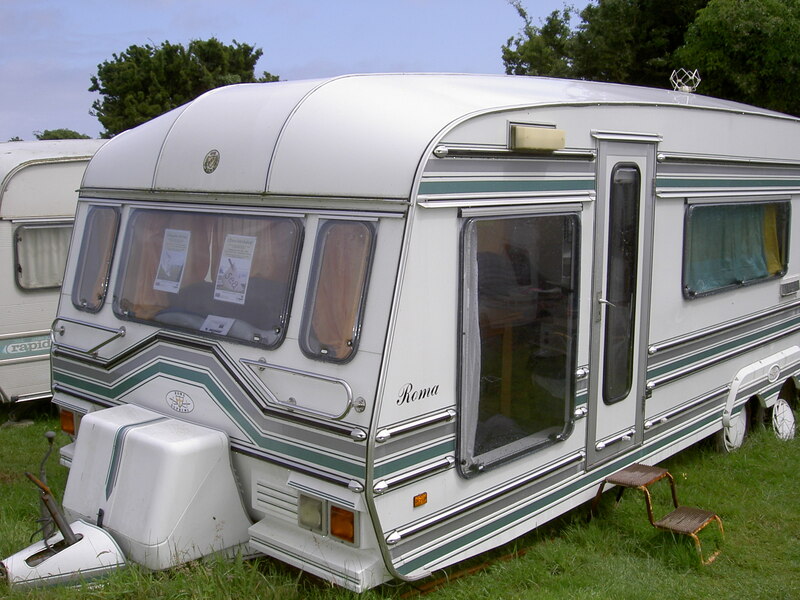 Not only is Arthur’s Field somewhere I don’t visit very often (not having any need to camp), it’s also very new to me to be living in a caravan. It’s so quiet and peaceful here, it’s giving me a chance to appreciate what we already have in the village, which I certainly take for granted at times. 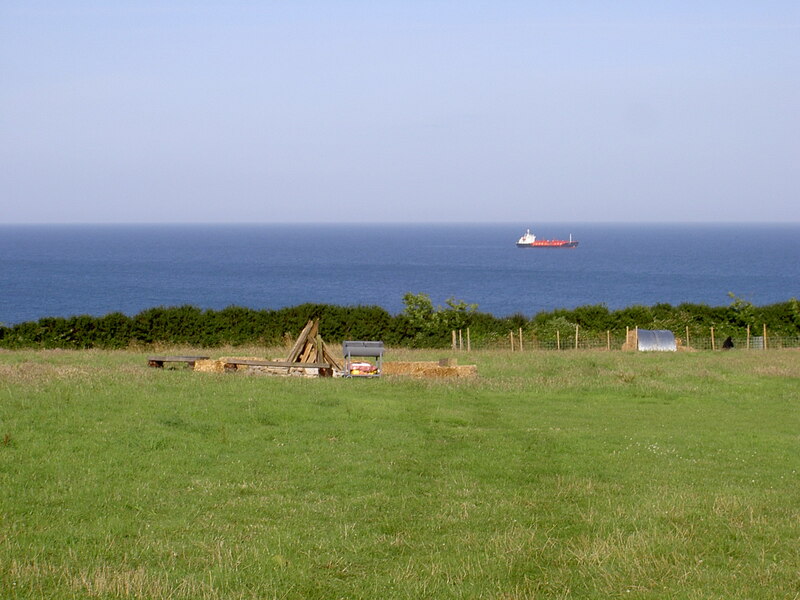 The space in the van is fantastic for a residency – good areas to work in, no complications or diversions like internet or phones, and the knowledge that I should be immersing myself in my surroundings and writing. It’s so easy at home to get distracted by other work, or by exciting things like paying bills and Tesco shopping. It seems to me that whatever form a residency takes, it is crucial that the writer has some kind of inspirational space like this, as well as the time and solitude in which to write. What’s really interesting is that the space doesn’t have to be isolated or remote (I could get on my bike at any point and be home in ten minutes), or even unfamiliar in order to achieve this. I’m really looking forward to hearing back from some of the writers and organisations I’ve contacted about other residencies in different places, and to finding out about their experiences of this. 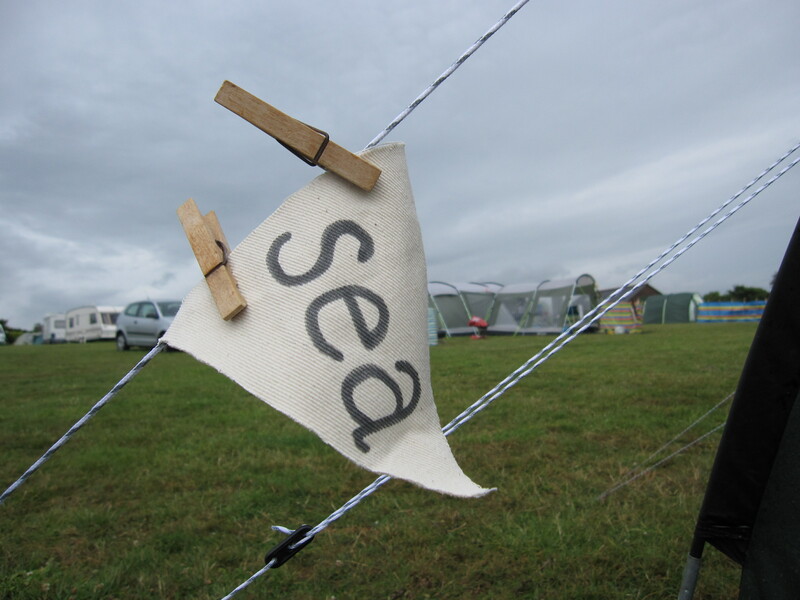 The rest of the day was punctuated by short bursts of torrential rain every half hour or so, which kept me in the van to plan tomorrow’s workshop, and happily spend some time in the afternoon writing. I was looking at the poem ‘Scotland’ by Adrian Henri, and thinking about using a list poem like this as a starting point for the workshop, so some of my writing time was spent writing my own version of this, unsurprisingly using the word ‘Rain’ as my theme. It was great watching the poetry line grow over the course of the day. The first line is filled with canvas already, and I particularly liked the word chosen by the first person to branch out onto the second line. Mac arrived later this evening, and we spent some time chatting around the firepit about writing and the Caravanserai project, and about some of the previous projects he and Annie have been involved with. 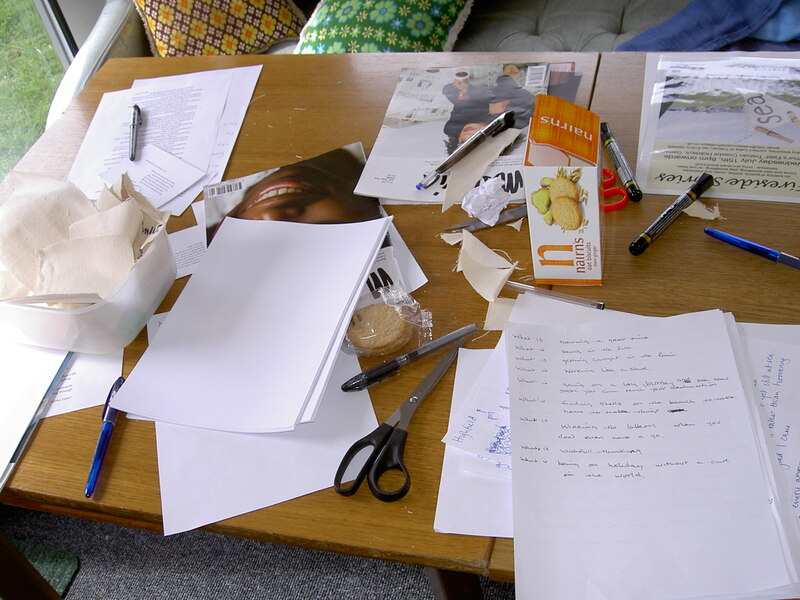 I spent this morning getting ready for the residency – perhaps it didn’t help that I live so close by, and so was all too tempted to just finish that last job, check my email one more time, or pop to the shop for supplies before I went up. 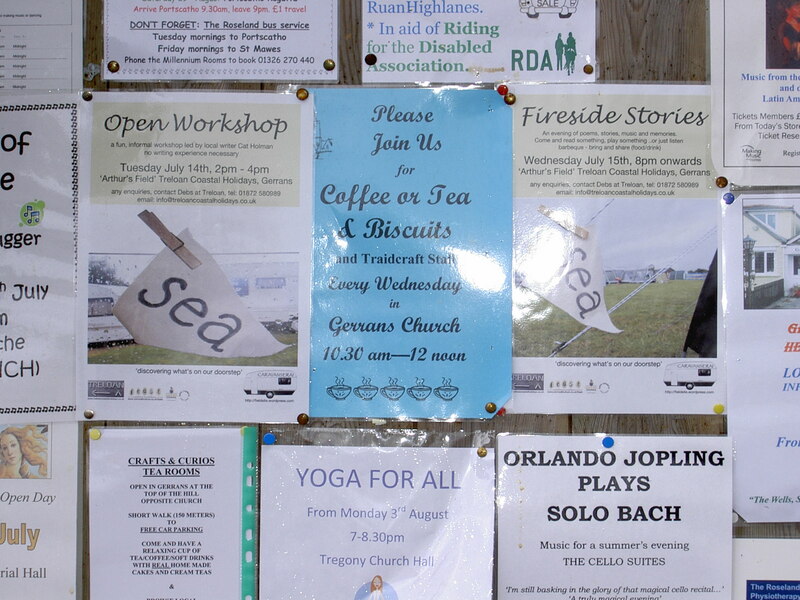 I put up more posters for the Fireside and Workshop events on the noticeboards around the village, and emailed as many local contacts as possible to spread the word. Finally, I left my house, with my newly mended but ancient bike in tow for the epic ten minute journey to the campsite. 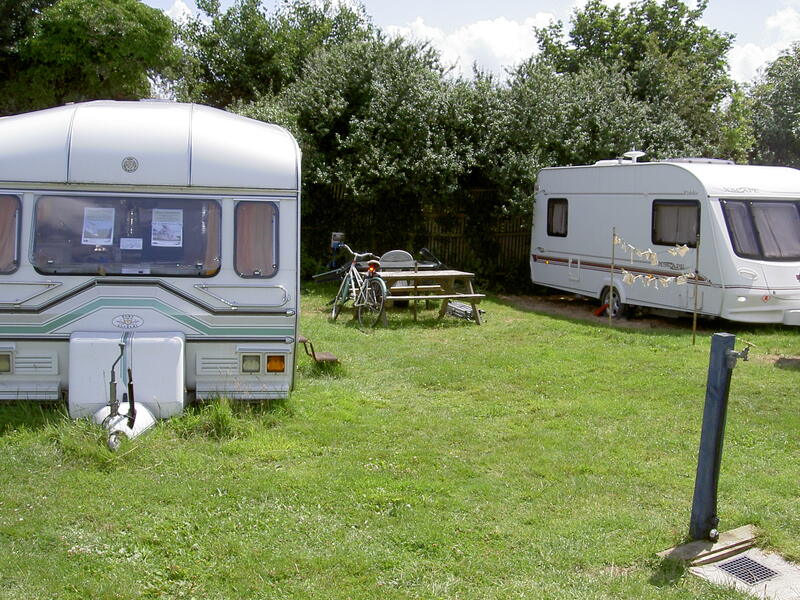 I felt it was important to ‘strand’ myself up at the campsite without my car, in order to create a bit of a distance between home and the project van. It worked…! 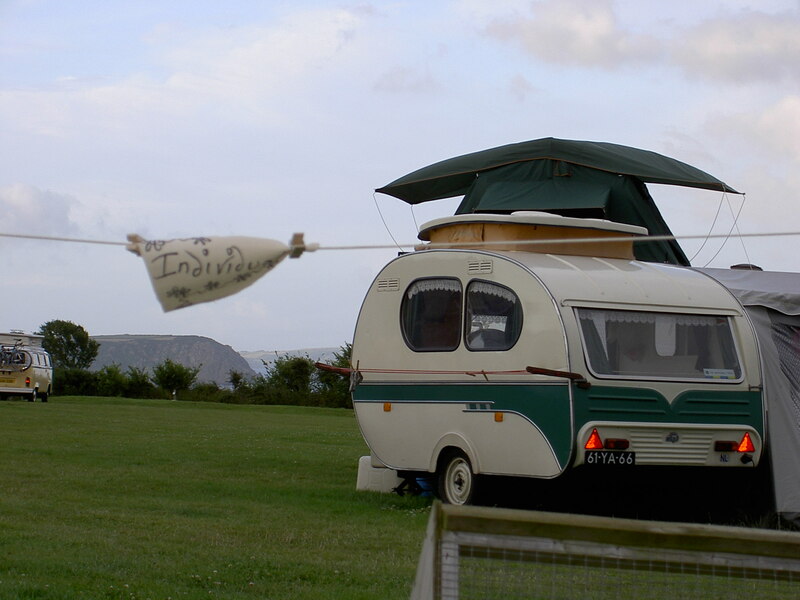 Once I’d moved into the beautiful project van (to be referred to hereafter as ‘my van’ – I’m not relinquishing my temporary ownership easily…), I met with Pete and Debs, the campsite owners, and discussed my ideas for writing and word-based activities around the site. 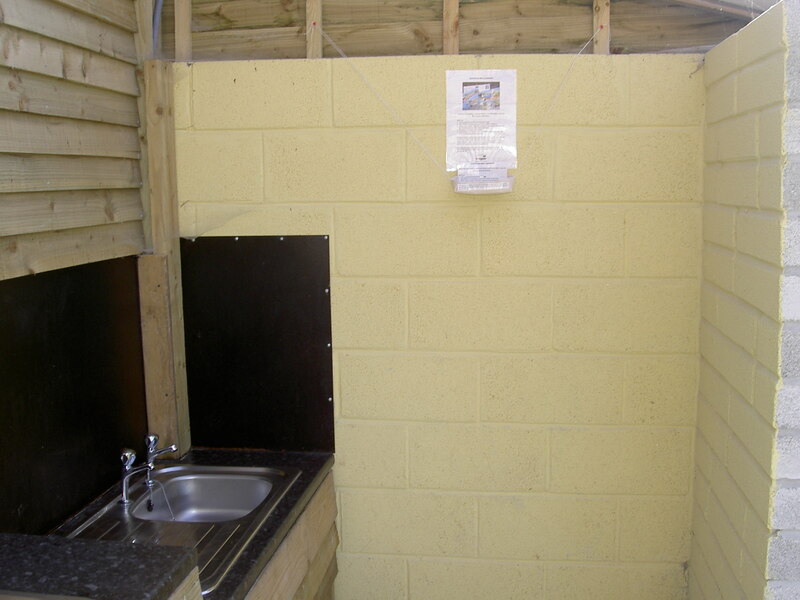 I’d drafted some posters and information about the poetry line and the postcards to home activities, so we talked through these and worked out the best places to put things around the site, such as communal wash-up areas and reception. Pete and Debs were very encouraging and supportive of my ideas and plans – fantastic residency hosts! 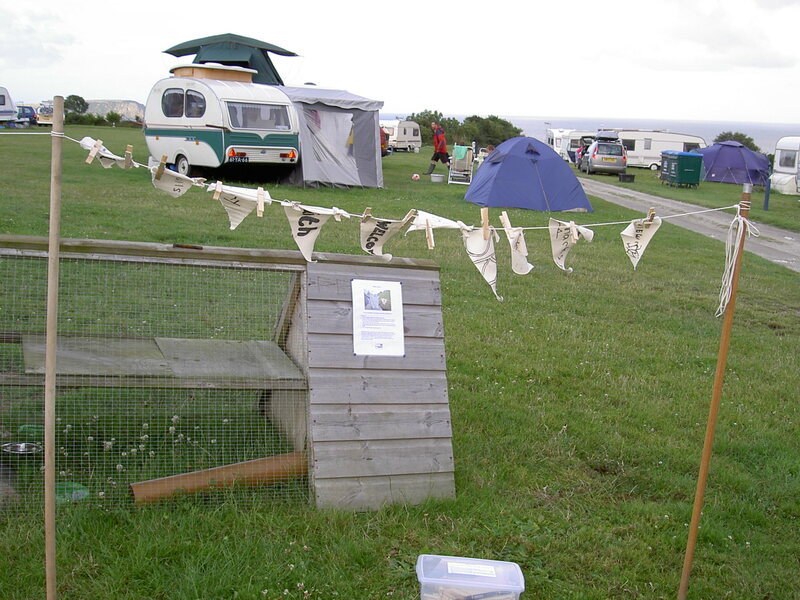 Had a lovely evening settling into my van, and set up my own little production line cutting out triangles of canvas for the bunting on our poetry washing line, before falling asleep in the luxurious bedroom (this caravan is a palace!) with a good book. 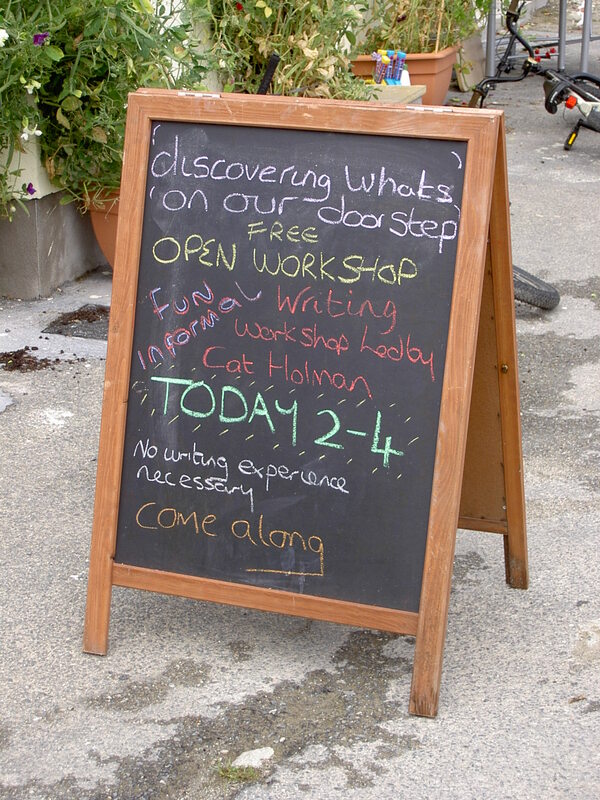 On Tuesday 14th July I’m going to be leading a writing workshop, also up at Treloan (Arthur’s Field), from 2-4pm. It’s going to be informal, and hopefully lots of fun. Everyone is welcome, regardless of whether you write all the time or not at all. It’s an opportunity to take time out of your normal day to enjoy spending time writing, and to find inspiration and new ideas! Have a look at the poster on the link below; it would be great to see you on Tuesday afternoon.